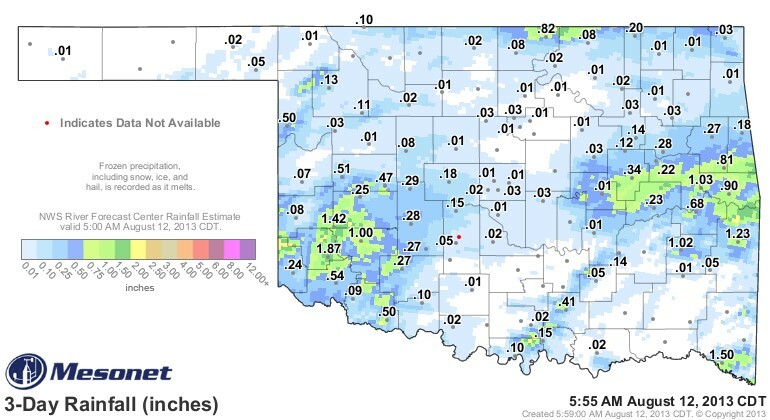 Rainfall over the weekend has been spotty- but for a few communities in southwest Oklahoma- and in far eastern Oklahoma- it has been great. Top rainfall total, based on the Oklahoma Mesonet rain gauges since this past Friday morning, is found in Mangum with 1.88 inches of rain- and that's a major blessing for folks in area. The graphic above shows the rainfall totals for the weekend just concluded. 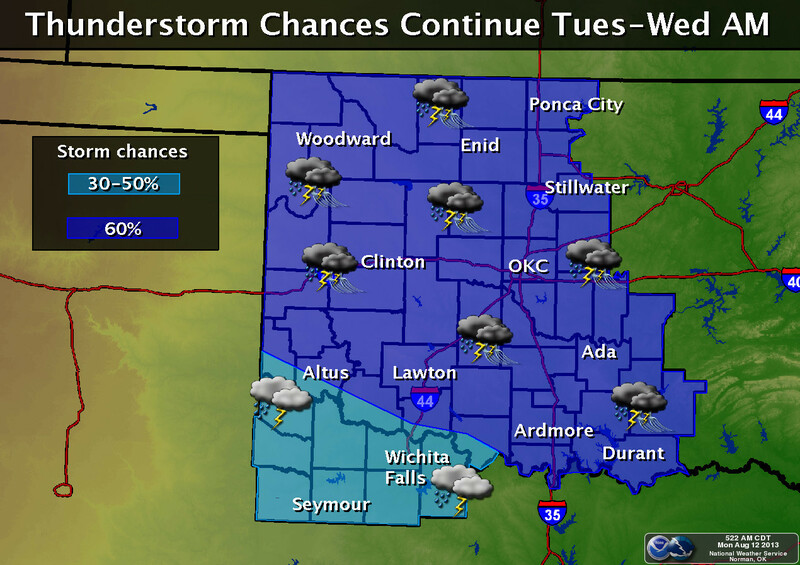 Below- there are two graphics- the first is a look at rainfall chances in the Oklahoma City NWS forecast area- please keep in mind that the eastern Oklahoma counties not rated on this graphic have just as good if not better chances for heavy rainfall through the middle of this week. To see how that plays out- you can look at the bottom graphic that shows a national view of rainfall chances with possible amounts for today through Friday. It's hard to believe that with lower than normal temps and these continued pulses of meaningfull amounts of rain that it is August.